Sadie Jones, the award winning, bestselling author of The Uninvited Guests and The Outcast, explores the theater of love, the politics of theater, and the love of writing in this deeply romantic story about a young playwright in 1970s London. Leaving behind an emotionally disastrous childhood in a provincial northern town, budding playwright Luke Kanowski begins a new life in London that includes Paul Driscoll, an aspiring producer who will become his best friend, and Leigh Radley, Paul's girlfriend. Talented and ambitious, the trio found a small theater company that enjoys unexpected early success. Then, one fateful evening, Luke meets Nina Jacobs, a dynamic and emotionally damaged actress he cannot forget, even after she drifts into a marriage with a manipulative theater producer. As Luke becomes a highly sought after playwright, he stumbles in love, caught in two triangles where love requited and unrequited, friendship, and art will clash with terrible consequences for all involved. 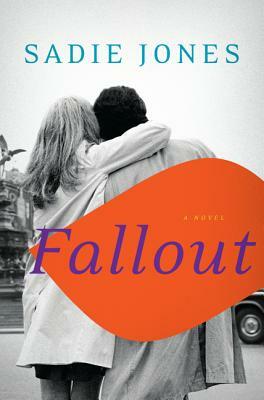 Fallout is an elegantly crafted novel whose characters struggle to escape the various cataclysms of their respective pasts. Falling in love convinces us we are the pawns of the gods; Fallout brings us firmly into the psyche of romantic love—its sickness and its ecstasy.